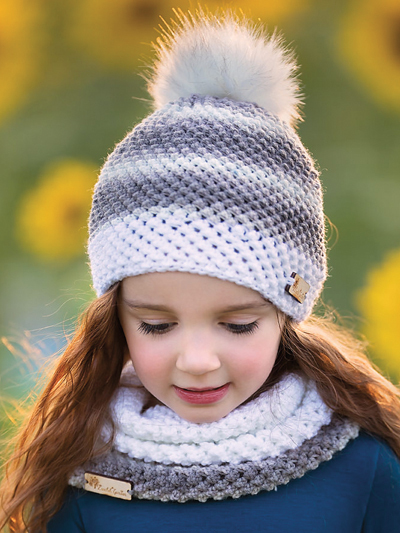 This design set uses a new stitch pattern: the staggered pebbles stitch. The staggered pebbles stitch is similar to the look of a popcorn stitch but executed in a different way. This stitch is used on anything that is worked in the round; it is worked on the wrong side where the staggered pops of texture developed on the opposite side. 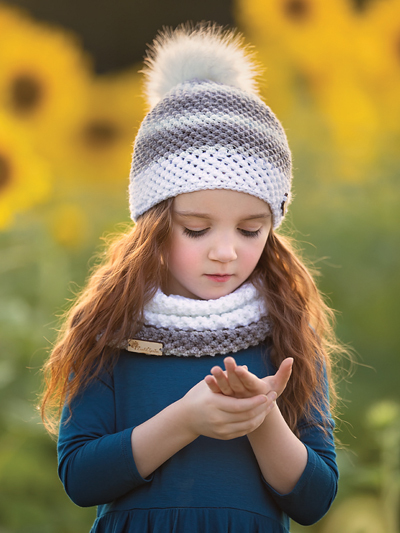 Hat and cowl are made using a DK-weight yarn. Pattern is written for sizes 2T through adult.